A professionally drafted Will is one of the most important documents that you can have. After your death, your loved ones will have to start the process of dealing with your assets and the things you own. It is your instruction to your loved ones that explains what you wish to happen to your assets (house, property, money in the bank, savings or investments) and who should receive which asset or what amount of money from that which you have left behind. It is important that your will is drafted professionally. If it is unclear and confusing, it can cause unnecessary difficulties for your family. Confusing or unclear instructions can lead to challenges and legal action from people who may feel that they are not getting what they should. This may result in increased costs for your estate in terms of any potentially unnecessary legal fees, estate duty or income tax. Delays in dealing with your estate which could affect your family if they are relying on their inheritance for an income. 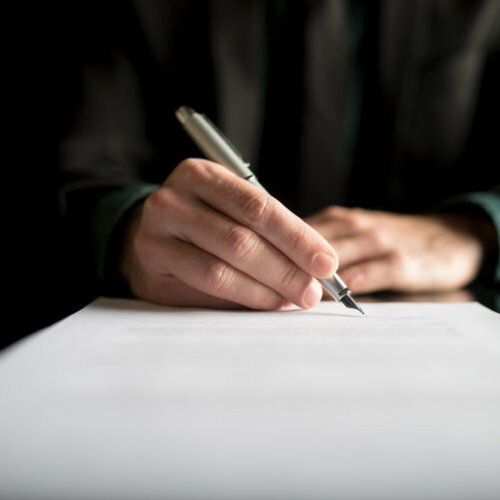 Without a will, the beneficiaries of your estate will be determined according to the laws of intestate succession. This law determines the distribution of your assets to your closest blood relatives. Your assets may therefore be sold or split up against your wishes. Each family situation is different, and some of your assets could be given to someone in your family that you did not intent to benefit from your estate. If you live with someone but are not married to them, the law won’t necessarily recognise your “commonlaw spouse” as a beneficiary of your estate unless you have left a will naming them as a beneficiary. Without a will, you also cannot leave a specific item to a specific family member or friend. If you are divorced and pay maintenance to a former spouse or children from a previous marriage, your estate could face substantial claims unless you have provided for maintenance in a validly drafted and executed will. If you have minor children and die without a will, anything they are entitled to receive will be held in the Guardian’s Fund until they turn 18. This means that any assets are sold and the money is held in this fund.